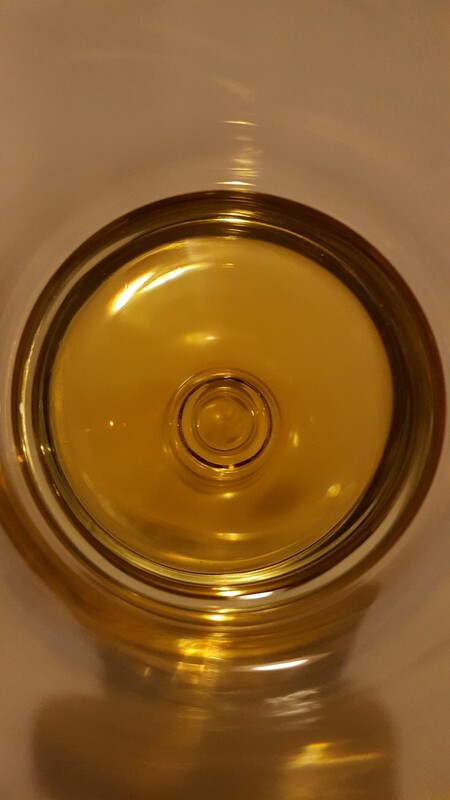 Herbal, slight note wine, orange peel, sweet - toffee, vanilla and brown sugar. Sweet fruity notes - red grapes, toffee, leading to slight spice, nutmeg and butterscotch. Fruity, creamy and sweet but gives way to more bitter notes over time. Setting the bar high for all Single Grains I try from now on. Great range on the nose and palate. 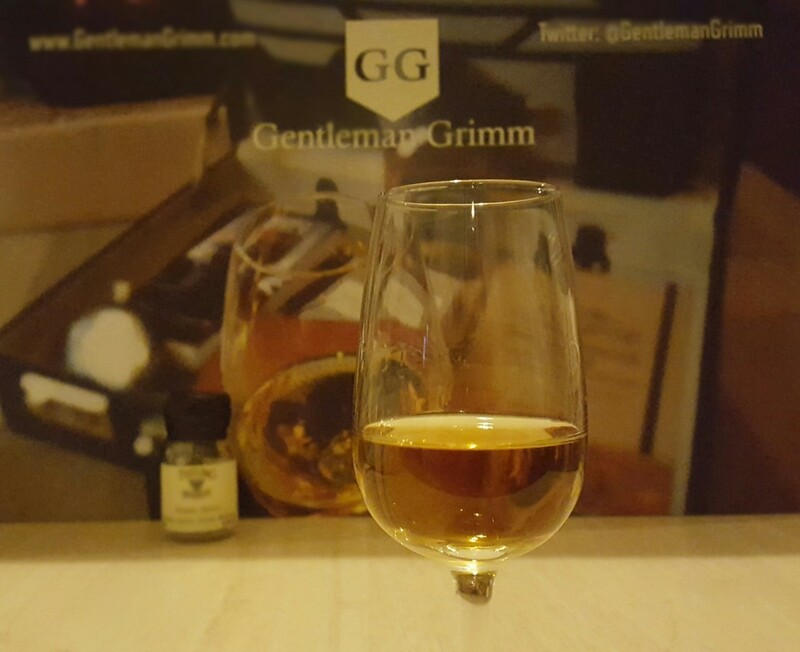 The herbal notes threw me a little but after that I felt like I was drinking a Dalmore with all the toffee, vanilla and brown sugar on the nose. Actually I enjoyed this more than their Single Malt which as it's around £5 cheaper a bottle that's nice to know! Is this the one aged in rum casks? That might explain the toffee, vanilla and brown sugar. The "grapes" sounds like the American Cabernet Sauvignon Finish. 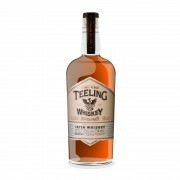 If so, yes, this is great whiskey, and by far my favourite of the Teelings I have tried thus far. All Irish and Scotch "grain whisk(e)y" should be this good. @Ol_Jas I know the Small Batch was finished in rum casks but not sure about this one. Certainly had some flavours reminiscent of a rum finish though. @Victor I've not explored single Grains before but after this I'm keen to try more - this has set the bar quote high though for other single grains! This was my first single grain too and yes you've set the bar high! 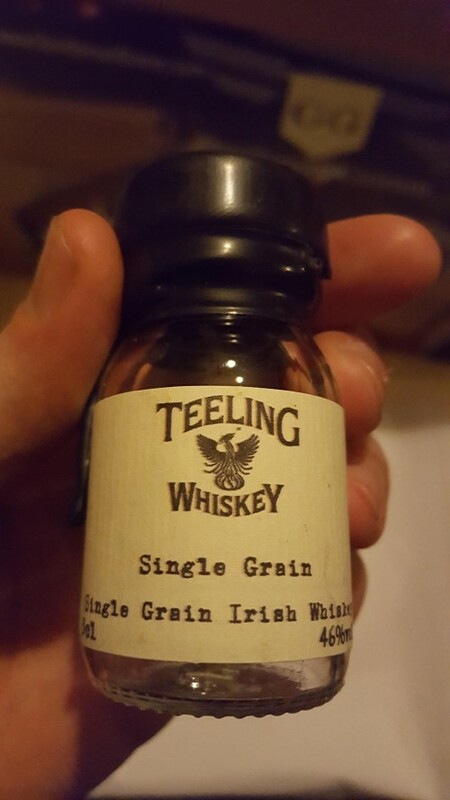 @MuddyFunster good to know I think my next Drinks by the Dram order will contain a fair amount of single grains now to see if I can find anything that competes.